The Bluetooth Diagnostic Interface has been carefully designed and tested to comply with OBDII protocols. However, some vehicle models are not in full compliance with these protocols for various reasons. In addition, the computer control systems or sensors on any given vehicle may be malfunctioning. While Autel’s testing and the experiences of the users have shown the unit to be safe and reliable, there is an inherent risk in using any product that may potentially affect the operation or drive-ability of your vehicle. If you are concerned about the operation of your vehicle at any time while using the Bluetooth Diagnostic Interface:  Pull off the roadway immediately or as soon as it is safe to do so.  Disconnect the device from the OBDII port. 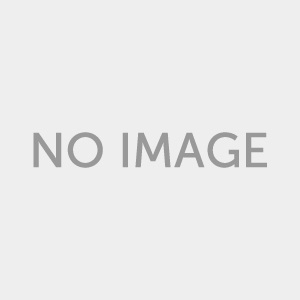  Consult a licensed mechanic or automobile service center. 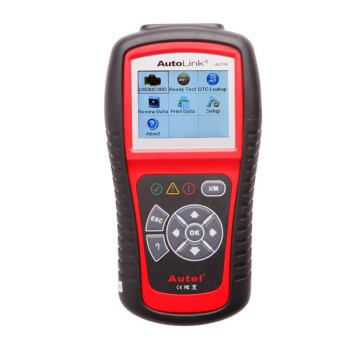 Contact your local distributor, or visit www.auteltech.com for issues or concerns about the product. We maintain an active database of the feedback we receive, and your comments can help us continuously improve the product. 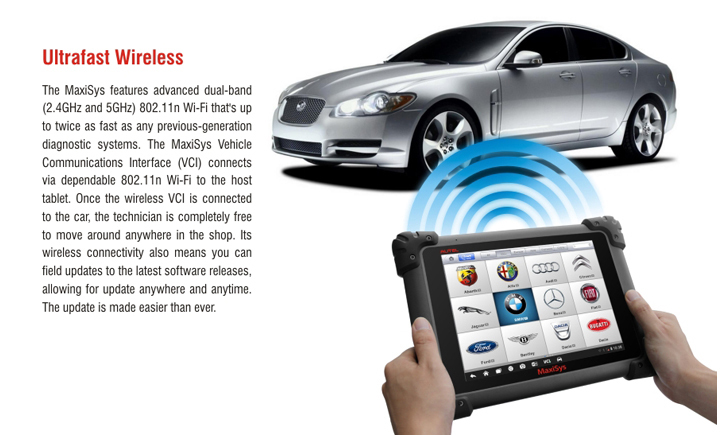 The Bluetooth Diagnostic Interface is a multi-brand device which comes with the MaxiSys tool kit. It is designed to connect wirelessly with the MaxiSys Display Tablet, as well as standalone PCs, as a vehicle communication interface (VCI) for vehicle data transmission. Thanks to the wireless Bluetooth technology, with which you are allowed to work freely around the vehicle. This interface device can communicate with vehicles’ electronic control units (ECUs), guaranteeing performance and speed that redefine multi-brand diagnostics. The development of this interface has been focused on reducing the communication time, and ensuring the tool is practical to use. 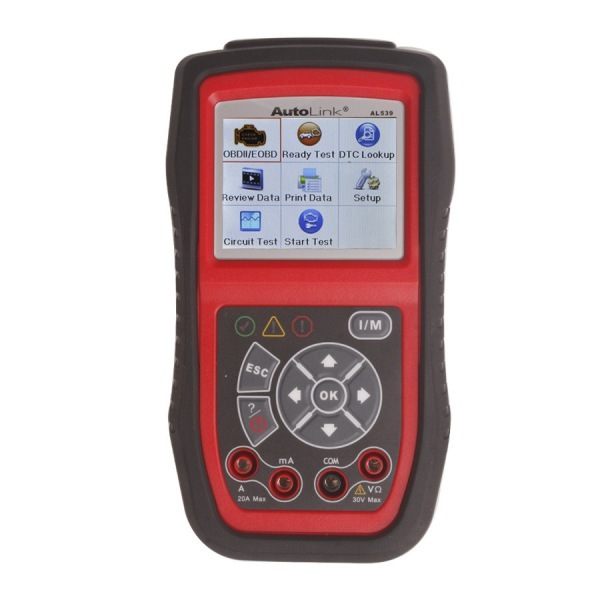 The MaxiSys diagnostic platform combines the VCI device and the display tablet with technical information into a single program, ensuring quick and simple access to the vehicle to perform comprehensive diagnostics applications. The Bluetooth Diagnostic Interface supports Bluetooth communication. 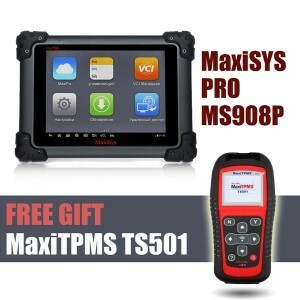 It can transmit vehicle data to the MaxiSys Display Tablet without a physical connection. The working range of the transmitter through Bluetooth communication is about 755 feet (about 230 m). A signal lost due to moving out of range automatically restores itself when the display unit is brought closer to the VCI unit. 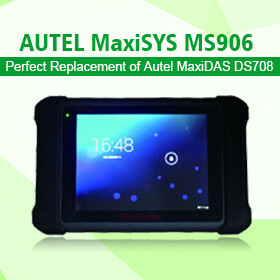 For detailed information about VCI connection with the MaxiSys display tablet, please refer to the MaxiSys User Manual. The VCI device also provides a direct connection to the MaxiSys display tablet or a PC via a USB 2.0 full-speed connection. All of the electronics are contained in the device shell, making it a compact and rugged vehicle communication tool. The Bluetooth Diagnostic Interface operates on 12-volt vehicle power, which it receives through the vehicle data connection port. The unit powers on whenever it is connected to an OBD II/EOBD compliant data link connector (DLC). It can also be powered through connection with a PC via the USB cable, so there’s no need to connect the device to the vehicle when performing firmware update through the PC. 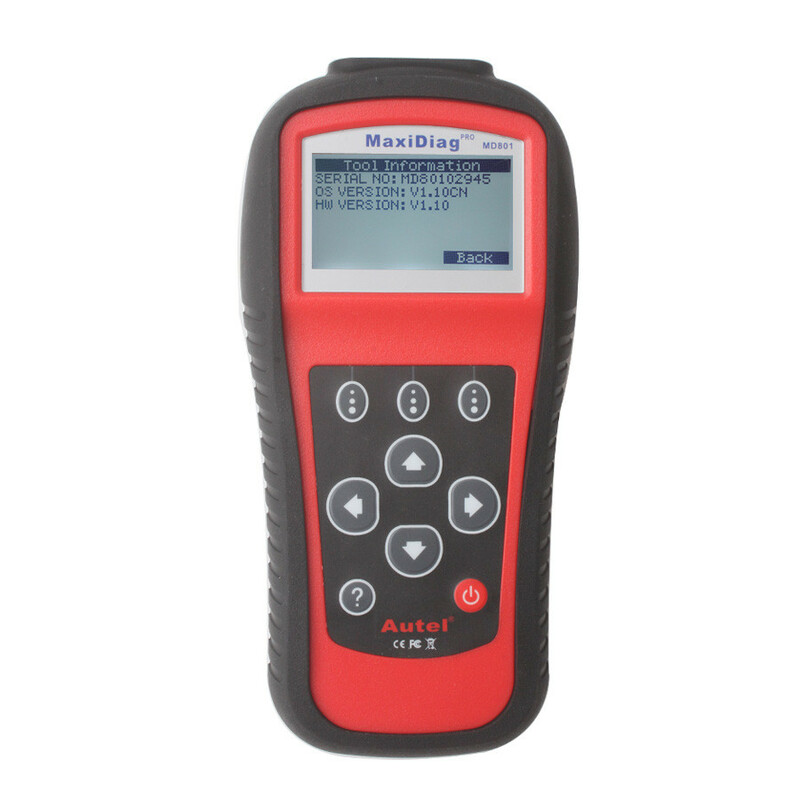 The Bluetooth Diagnostic Interface device package, which includes the unit, user manual, and a CD with driver program and update agent, comes along with the MaxiSysTM/MaxiSys MiniTM tool kit. Please refer to the MaxiSys User Manual for additional information. The vehicle connector connects the device to the vehicle’s DLC via a standard DB15 – Pin OBD II cable. There are 5 status LEDs on the front panel of the VCI device, which indicates its working status as well as the hardware conditions, and are very useful for troubleshooting the device’s communication or connection to the Vehicle, display tablet and/or the PC. See Table 1 for detailed description of the status LEDs. The USB port provides the easiest connection between the device and the display tablet or the PC via a USB cable, and is used to control the device from the software application running on the PC. This part describes problems that you may encounter while using the VCI device. A communication error occurs if the interface device fails to communicate with the vehicle’s control module when performing diagnostic procedures. You need to do the following check-ups:  Verify that the ignition is ON.  Check if the interface device’s OBD II connector is securely connected to the vehicle’s DLC.  Turn the ignition off and wait for about 10 seconds. Turn the ignition back to on and continue the operation.  Verify the control module is not defective. Verify the interface device is powered, and the green power LED is illuminated.  Check if there is any firewall software interfering with the connection port.  Check if the green status light is illuminated for USB communication. If these issues have been addressed, verified, and you are still having trouble, please contact technical supports for assistance. Refer to the MaxiSys User Manual for additional information. In order for the Bluetooth Diagnostic Interface device to operate correctly with the diagnostic applications on the PC, you will need to first install the device’s driver onto the PC that controls the device. The program package requires Windows XP, Windows Vista (32 or 64 bit), or Windows 7 (32 or 64 bit). IMPORTANT: Do not plug the interface device onto the PC until you have installed the driver program. The following steps may vary depending on the operating system or components that are installed on your computer, but in general this is the standard installation process. 1 Insert the CD that came with the MaxiSys tool kit into the CD/DVD slot of the PC. The driver installation wizard will load momentarily. Follow the Setup Wizard instructions to complete the whole installation process. 2 Click on “Next” on the welcome page. 3 Select “Next” on the installation location and installation name. It is recommended not to change the default settings; otherwise the computer may have a hard time recognizing the driver. 4 Click on “Install” and the driver program will be installed onto your PC. NOTE: During this part of the process a MS-DOS style window will pop up and may remain on your screen for a short while, which is perfectly normal. Do not attempt to close the MS-DOS style window manually as this will prevent the device driver being installed successfully. It will close automatically when the device driver installation is complete. 5 When the driver is successfully installed, a confirm window will appear. 6 Click on “Finish”, and connect the interface device to the PC’s USB port. 7 A “Found New Hardware Wizard” window will pop up. Make sure “No, not this time” is selected and click on “Next”. 8 Select “Install the software automatically (Recommended)”, and click on “Next”. After the progress bar finishes, click on “Finish”. Users have finished installing at this point and can run the software working with the interface device. Autel periodically releases updates to the device’s drivers. Updates are necessary to solve specific problems and to ensure the VCI device is working properly with the OEM software. If you are experiencing any problems during use, always make sure that you have the latest device software and drivers. This function allows you to update the driver software for the device through the PC. Make sure the PC is connected to the Internet before using this function. 1 Power up the interface device and connect to the PC via the USB cable. 2 Verify the Power and USB LEDs on the front panel are illuminated. 3 Click on “All Programs” from Windows Start Menu, find the “MaxiFlash Bluetooth” entry under “Autel”, click on “UpGrade”, and wait for the program interface to pop up. 4 Select the “Update” tab and the update agent will automatically check for the available update online. 5 Press the “Next” button to install the newest firmware. 6 Press the “Cancel” button to exit. Autel warrants to its customers that this product will be free from all defects in materials and workmanship for a period of one (1) year from the date of the original purchase, subject to the following terms and conditions: 1) The sole responsibility of Autel under the Warranty is limited to either the repair or, at the option of Autel, replacement of the device at no charge with Proof of Purchase. 2) This warranty does not apply to damage due directly or indirectly, to misuse, abuse, negligence or accidents, repairs or alterations outside our Service Center or facilities, criminal activity, improper installation, normal wear and tear, or to lack of maintenance. 3) Autel shall not be liable for any incidental or consequential damages arising from the use, misuse, or mounting of the device. Some states do not allow limitations on how long an implied warranty lasts, so the above limitations may not apply to you. 4) All information in this manual is based on the latest information available at the time of publication and no warranty can be made for its accuracy or completeness. Autel reserves the right to make changes at any time without notice. 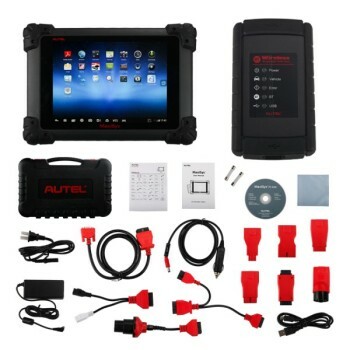 If you have any questions, please contact your local distributor or visit our website at www.auteltech.com. If it becomes necessary to return the tool for repair, contact your local distributor for more information.